I met a man in a café in Toronto, Canada who told me he was a magician. He asked for this fork from the kitchen (so I was sure it wasn’t a trick fork) and put it in my hand and gently turned it round in my hand a few times. 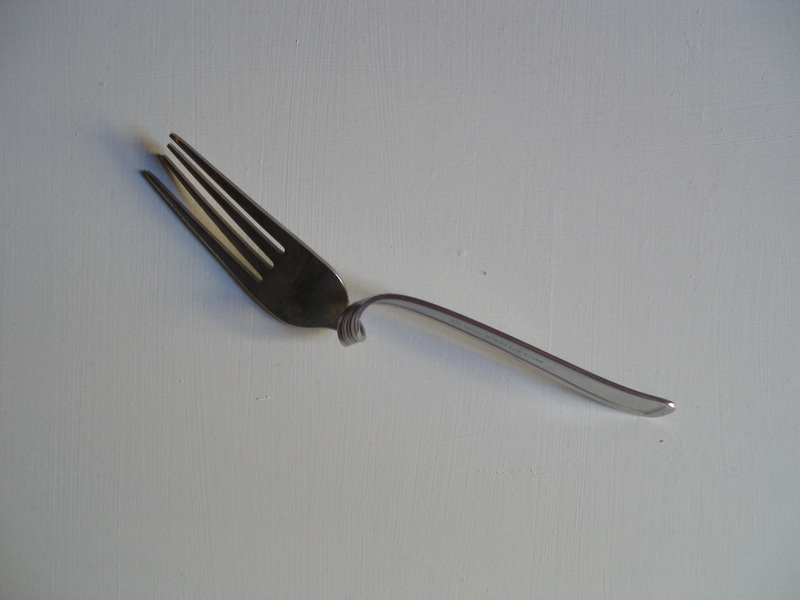 When I unclenched my fist the fork had been twisted all the way round itself. I still can’t understand how he did it, even though I sort of agree with most people that these things are just clever trickery I keep the fork as a secret proof to myself that some things are unexplainable and I call them magic. Magdalen, Actress, 45, London UK.